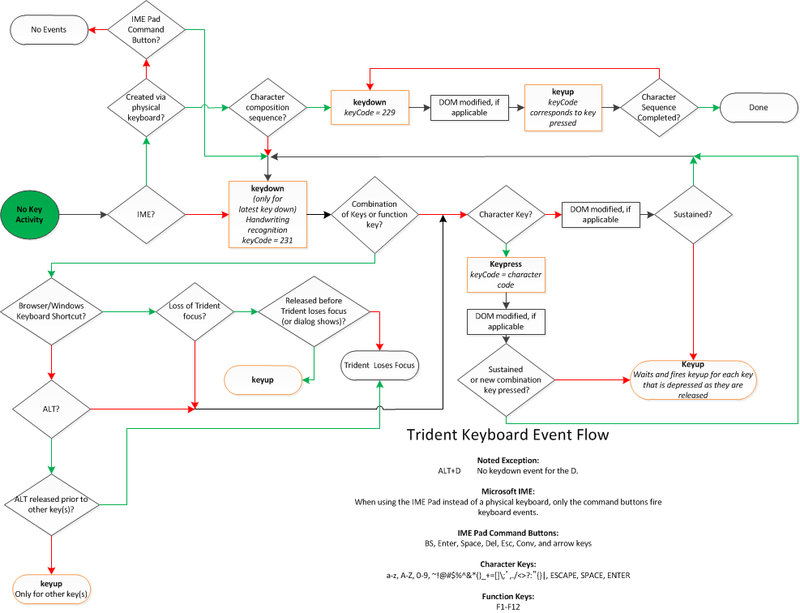 Updated the diagram describing keyboard event flow for IE. It now includes blocks indicating where DOM modifications occur. Note that the blocks say "DOM Modification, if applicable." There won't always be a modification at these locations (ex., pressing arrow keys, CTRL+C, etc.). Nonetheless, when there are applicable DOM modifications, they occur at these locations.